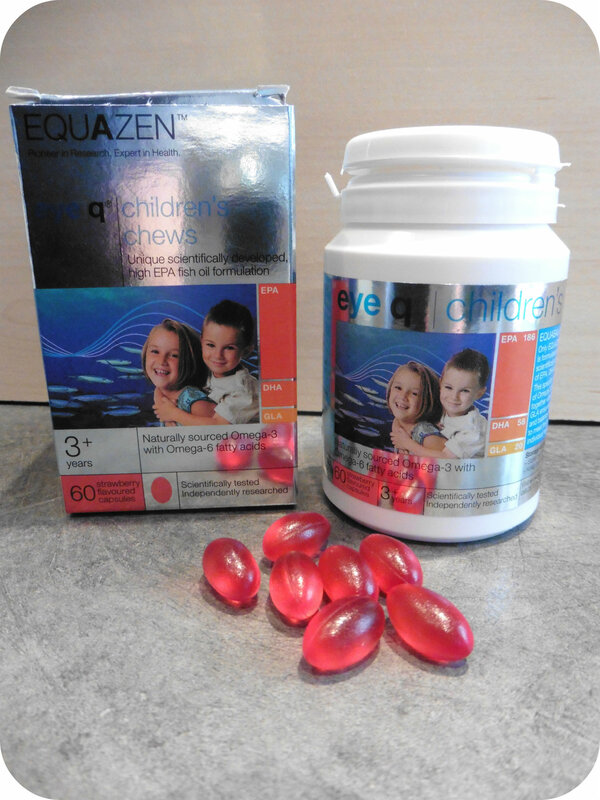 Equazen eye q children’s chews are a fantastic source of essential fatty acids such as Omega 3 and Omega 6 which are vital for good health. Although these can be found through a healthy diet, such as by eating two portions of oily fish a week, I know that my children don’t often achieve that being not that keen on fish and a bit fussy on other foods. I’m happy to supplement their diet with anything that helps and Equazen eye q promises to give the body a balanced formulation that meets the body’s individual needs. I still try to provide my children with as much nutritional food as I can and Equazen eye q shouldn’t be used a as a replacement for that, just something to supplement your bodys’ nutritional levels alongside a healthy diet. The capsules are chewable and suitable for both children age 3+ as well as adults. They are strawberry flavoured and you should take two capsules per day, although up to six can be taken at the start to build up your body’s level of essential fatty acids. Essential fatty acids being essential as they play a vital role in almost every part of your body including the brain. So what did my children think? Well my 4yr old wasn’t interested and that’s fine, but my 7yr old liked the thought they were to make her healthier and improve her brain power and happily asked to take them everyday. She said they tasted ok, not great but she was more than happy to have them as she knew they were good for her and has been taking them daily without any encouragement from me! I’m happy for my daughter to continue taking these as they claim to be made with the highest quality ingredients and contain no artificial colours or sweeteners. I would like to think over time her body is benefiting from taking these and it keeps her healthy. With a whole range of Equazen products suitable for different ages and in different products there is a good range for different people to try. Why not take a look today? All reviews are my own and my family’s opinions and we received the Equazen in order to write the review. This entry was posted in Reviews and tagged chews omega 6, children eye q, equazen by Fiona Martin. Bookmark the permalink. I used to buy them for my daughter when she has bad eye sight. Then I totally forgotten! I need to get them for her again! But not sure if she will like the capsule. Need to try them!